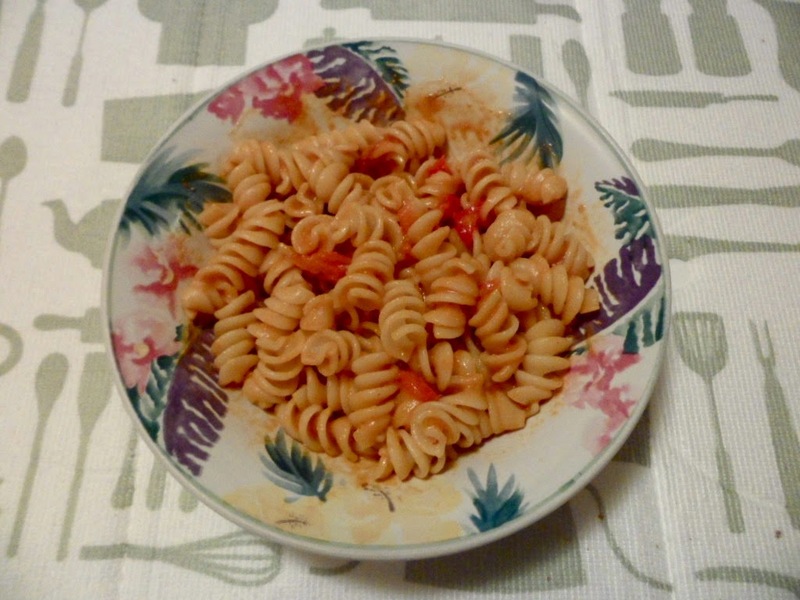 My Life with Interstitial Cystitis: Kat's Tomato-less Pasta! Hi everyone! I have been experimenting for years to find a way to make a delicious pasta sauce and I finally have a couple of versions of a tomato-less sauce that are delicious. My mom loves it enough that she asks me to make extra sometimes so that she can enjoy some herself. That says a lot because she does not have any diet restrictions. I have provided two different versions but please feel free to experiment and let us know what you did differently and how you liked it in the comment section below. One of the things I love about this recipe is that you can completely change the taste of the sauce by altering the quantities of vegetables in the juice, or the vegetables you add to the sauce at the end. So try it a few different ways and have fun with it! * Note: This recipe requires the use of a juicer. 2) Homemade Vegetable Juice (organic red pepper, organic celery (only if you can tolerate it! ), organic cucumber, organic romaine lettuce, sea salt (quantities are subject to your taste - for a rough guide of what I use, see under 'Kat's Chips and Dip' but to be honest, I'm constantly changing the quantities and it's always delicious). The first thing is the broth I use in the sauce: I have stopped using the broth I featured on this blog and instead, I now use homemade potato broth. My reasons for this are threefold: First, I became hypokalemic because of the limited IC diet and need to add in tolerated sources of potassium wherever I can. Second, I got to the point where I could tolerate organic red potatoes. This took about 4 years of bladder instillations, Elmiron and an IC diet, which is why this change could hurt you, if you can't tolerate any organic potatoes (yet). The third reason is that the potato broth provides a very consistent flavour, whereas the other broth varied significantly batch to batch. Second, I am now extremely picky about what kind of feta I use in the sauce. Do not use feta that is in brine. Only use dry and check the ingredients religiously. 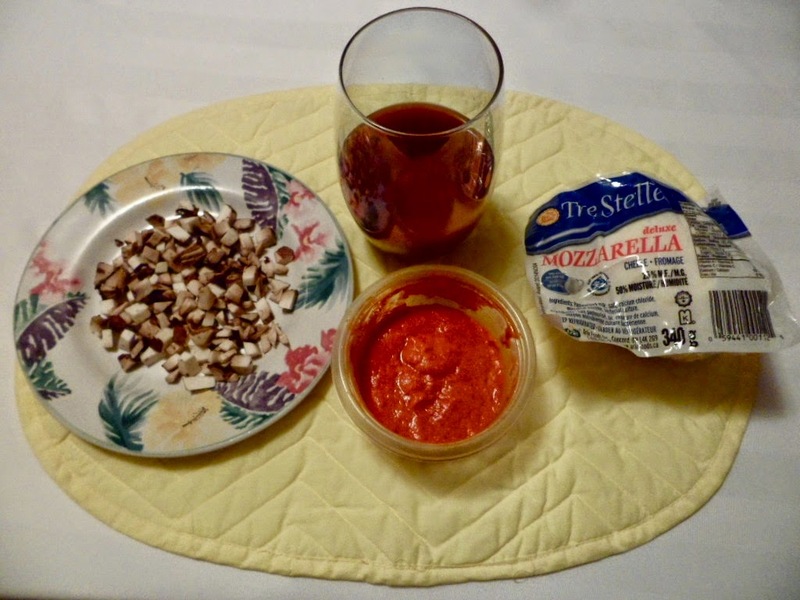 My favourite kind of feta is Tre Stelle Crumbled Feta Cheese (Ingredients: Pasteurized milk, bacterial culture, salt, microbial enzyme, calcium chloride, lipase, cellulose.) It's the best tasting cow's milk feta I've ever had and it has never bothered me. If you have successfully tested organic red potatoes and you've already incorporated them into your diet, please feel free to use potato broth with the pizza sauce instead of the other one I posted previously. To make the potato broth, boil prepared organic red potatoes cut into cubes with the skin left on until cooked, in filtered water with sea salt; separate the potatoes from the water they're being cooked in and voila! You have potato broth. It can be frozen and stored in the freezer in small containers and is easily melted in the microwave for use at your convenience. 1) Put the approximate amount of pizza sauce you'd like to be pasta sauce in a bowl. 2) Mix in vegetable juice one spoonful at a time until you like the flavour (I usually use 2-5 spoonfuls for one bowl of pasta). 3) Chop up the portabella mushroom into small cubes and using salted butter OR grapeseed oil and sea salt, stir fry the desired amount of mushroom in a frying pan until fully cooked (~3 minutes). 4) Add the desired amount of portabella mushroom into the pasta sauce and stir. 5) Once you've prepared the organic penne according to the directions, (don't forget to salt the water with sea salt! ), mix the penne and sauce together in a microwave-safe bowl (or on a plate). 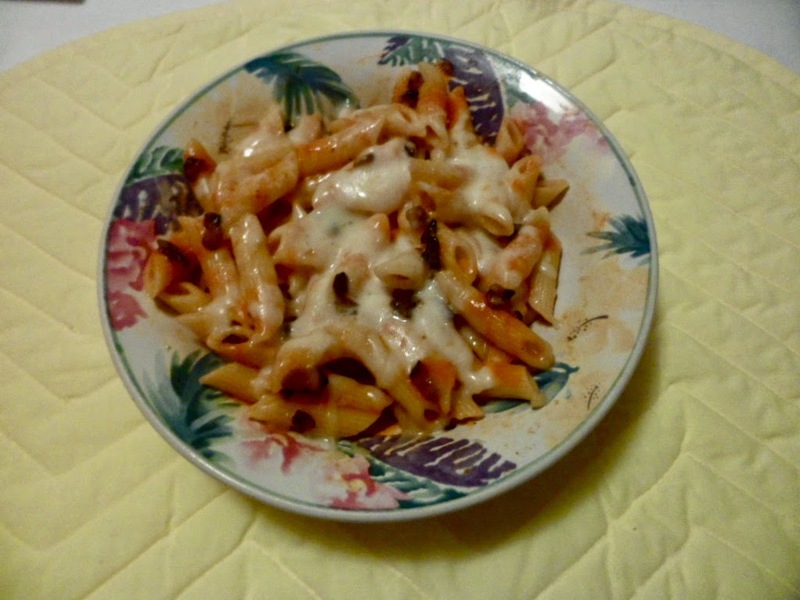 6) Shred mozzarella cheese on top of the penne and microwave until it melts. Microwaves vary greatly so I wouldn't go by this, but I usually put it in for 1 minute. 3) Peel a roasted red pepper and cut into small chunks. Mix the desired amount of roasted red pepper in with the sauce. 4) After you've prepared the organic rotini (don't forget to salt the water with sea salt! ), mix in the rotini and enjoy! I particularly like this combination because the chunks of peeled roasted red pepper give the illusion of chunks of tomato. When making this combo, I don't use as much red pepper in the juice I mix in so the colour of the juice is actually green instead of slightly red. With both of these recipes, it's largely up to you to figure out what amounts you like of everything and for me that seems to change almost every time I make it which is why I don't have set amounts of each ingredient. However, no matter the variation of amounts, both of these dishes have always been delicious! I truly hope you like them! Take care! To eat either of these tomato-less pasta combinations, I take 5-8 Prelief (and 1 Lactaid Ultra if I have buttered the pasta or melted cheese on top of it). Upon your blog! Are there other ic friendly recipes you have to share? I'm dealing with my first flare, so I'm back to the strict diet.